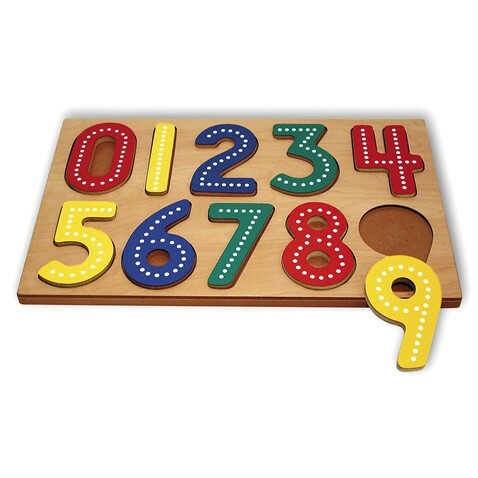 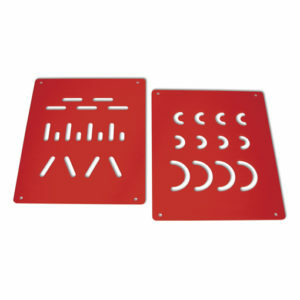 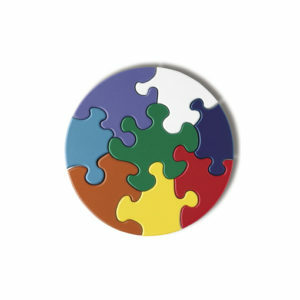 Giant number puzzle with brightly colored pieces that are raised above the surface of the puzzle board for easy removal and fitting. 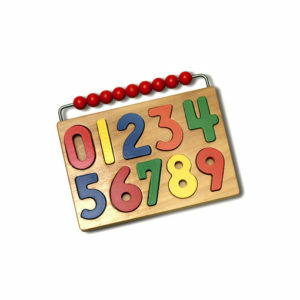 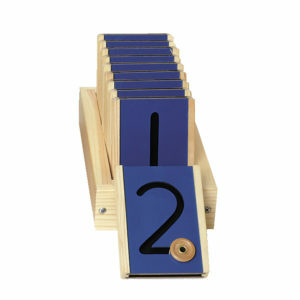 The surface of each number is made of a durable plastic laminate that readily accepts chalk and erases easily. 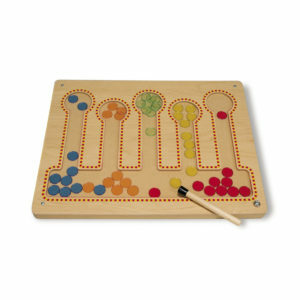 The child can trace the numbers with a finger and with chalk guided by the dot pattern over and over again. 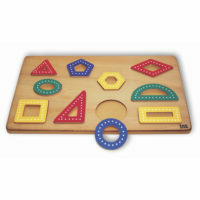 Teaches the shape of numbers from 0 to 9. 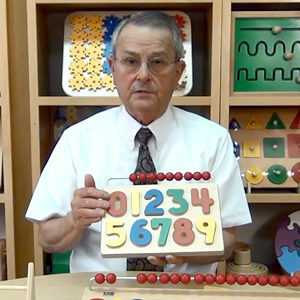 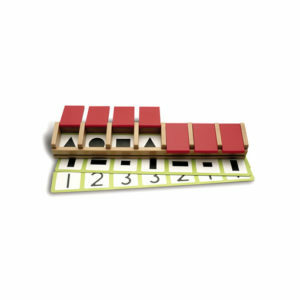 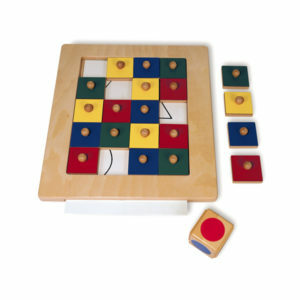 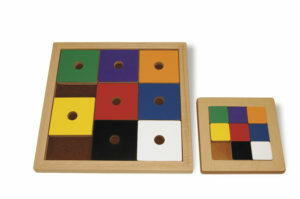 Provides an opportunity for a child to trace and form the number shapes at a most basic, yet concrete level. 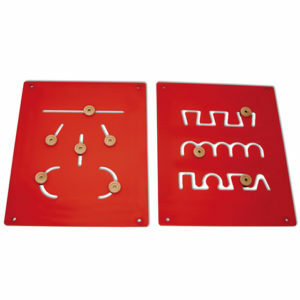 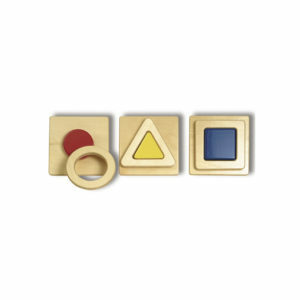 Combines the tactile exploration of the 3-dimensional form along with the reproduction of the 2-dimensional symbol. 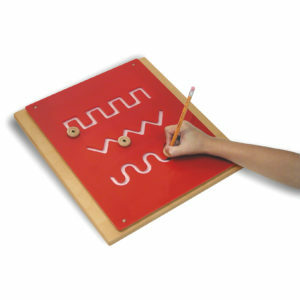 Provides readiness skills of muscular movements, eye-hand coordination and mental image imprinting that are the basis for learning to draw and write.